Kiwi Persianrugs Ltd is based in Nelson, New Zealand, and was set up by Hoss and Cornelia Kouhestani in 2002 to bring high quality persian products: persian rugs, persian carpets, persian furniture, to the people of New Zealand. Your enquiries are welcome at any time. 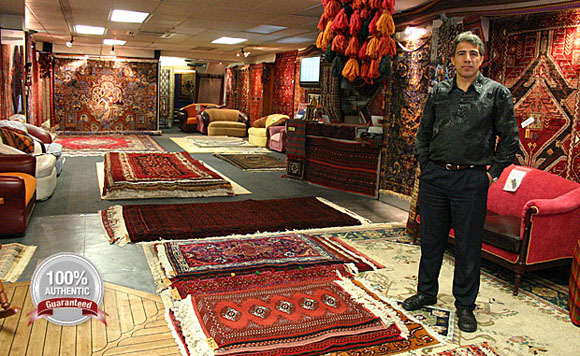 Every Rug at Kiwi Persian Rugs Ltd is selected by Hoss Kouhestani, Managing Director and founder of KiwiPersian Rugs Ltd, during his journeys through Iran. Since every rug and carpet expresses their unique culture of the region, sourcing our rugs and carpets can take a long time, sometimes up to three months. 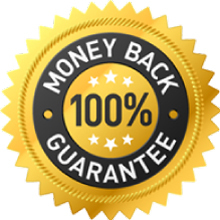 Every Rug comes with my personal guarantee of authenticity and the right to exchange and full refund. All our Rugs are guaranteed as truly hand-knotted by persian tribes. 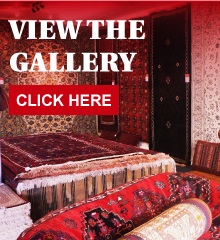 Kiwi Persian Rugs Ltd was established in 2002 as Kouhestani Ltd. and is trading as Kiwi Persian Rugs Ltd. since 2006. Our collection includes some of the finest and traditional persian rugs, persian carpets, persian furniture and granite from Iran. Our stock includes all sizes and patterns.